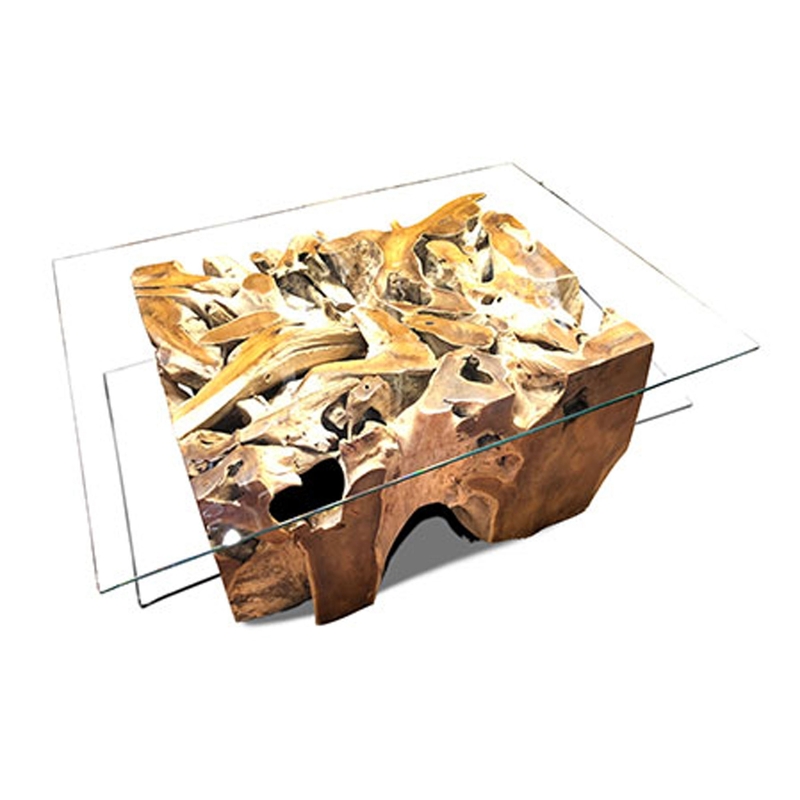 Make your home feel a lot more interesting and stylish by introducing this gorgeous Teak Root Coffee Table Spider Stone Rectangular With Glass. This coffee table has a fantastic design that features a unique base, holding up a rectangular glass top. This product is created from teak root and glass.